Youth in Arts offers FREE tours for school and youth groups in Downtown San Rafael, Mondays through Fridays by appointment. 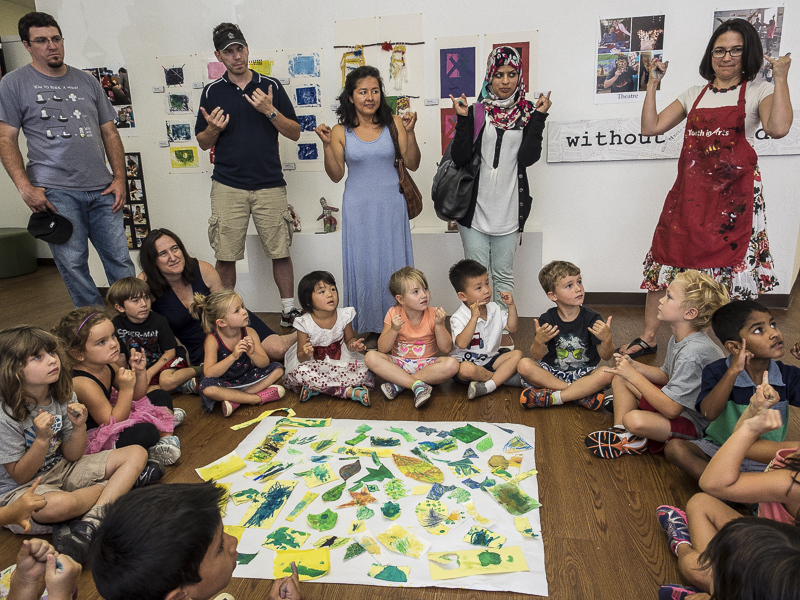 Our gallery activities will include a hands-on art project inspired by the current exhibit. A minimum of eight students is necessary to book a field trip. Use our online program request form and select “FREE YIA Gallery Field Trip” for your program type. YIA Gallery is also open to the public Monday-Friday from 10 a.m. to 4 p.m.
You can view our current exhibit and explore self-guided activities on your own during these hours with a group of any size. In-depth, customized art workshops available for an additional fee.